Worry free, battery free rotating/panning time-lapse on the go. camalapse mobile for smartphones. 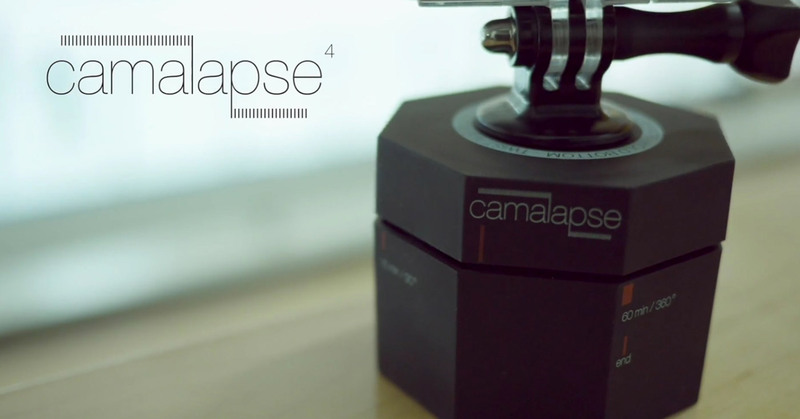 camalapse 4 for smartphones, action sport cameras, DSLR’s and tripods. 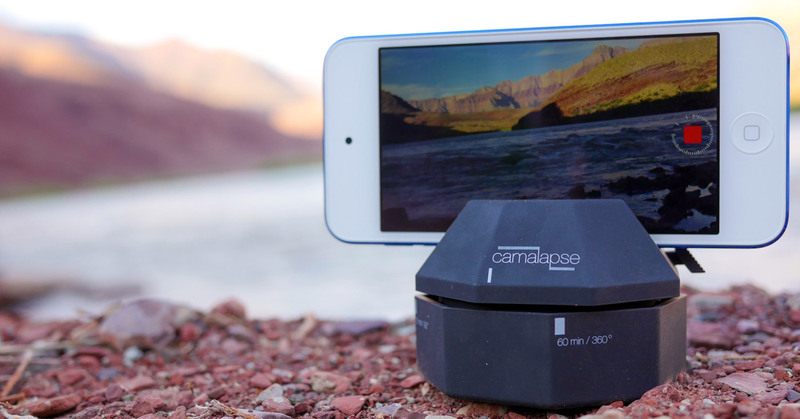 The camalapse mobile can help create rotating/panning time-lapse videos or steady panoramic images with most smart phones. Capture up to 360°/60min of pictures or video with the camalapse mobile. More details on the camalapse mobile. The camalapse 4 can help create rotating/panning time-lapse videos or steady panoramic images with most digital cameras, action sport cameras and smart phones. Capture up to 360°/60min of pictures or video with the camalapse 4. More details on the camalapse 4. Which camalapse is right for you? Use the chart below to see which camalapse is best suited for your needs. More details on the camalapse mobile. More details on the camalapse 4. * DSLR cameras may require a balance plate. Due to the weight/balance and location of the tripod mounts on various cameras, we can’t recommend the camalapse 4 for all cameras. However, you might find that if your camera is small, lightweight (less than 80oz/2.27kg/5lb) and fairly center balanced, the camalapse 4 may work for your particular camera.